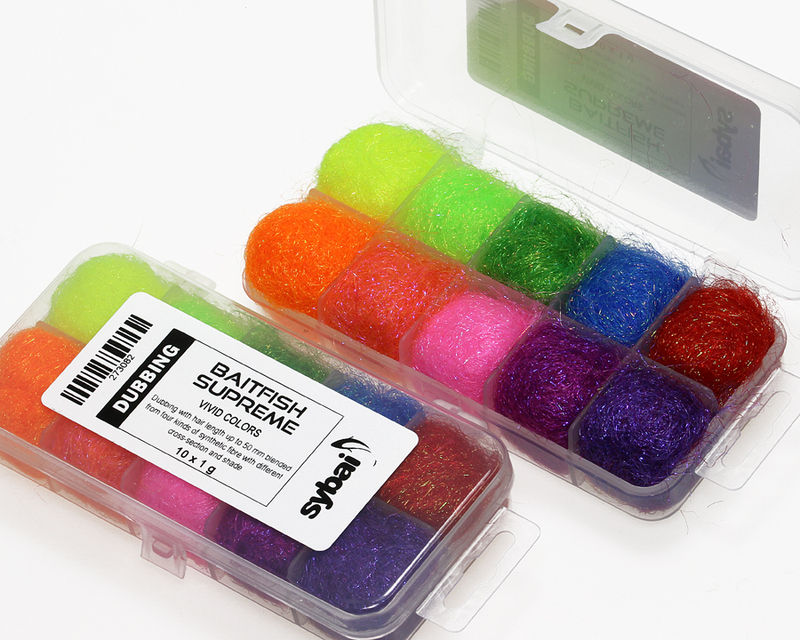 Dubbing with hair length up to 50 mm is excellent for wings and tails small fish designs. It is blended from four kinds of synthetic fibre with different cross-section and shade. Cutting it at desired length makes it very universal dubbing with perfect cohesiveness, that is great to work with.